STOP THE CAR! Breathtaking curb appeal no matter the view! 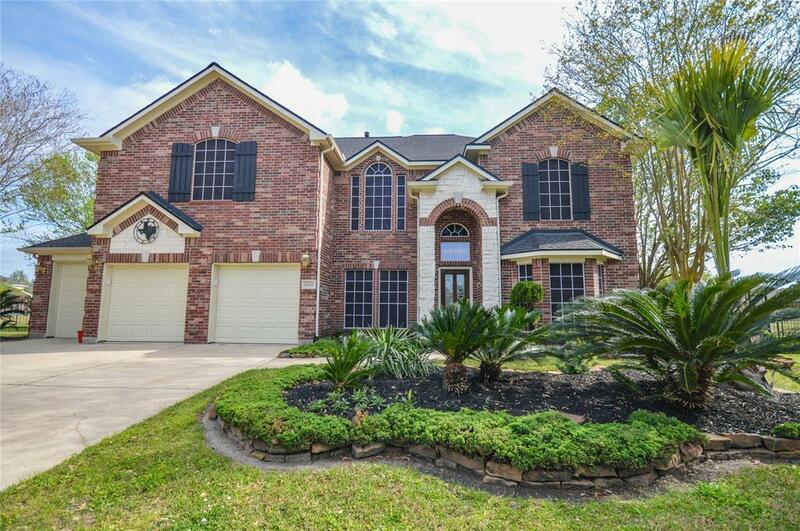 This gorgeous two story four bedroom home is located at the top of a Cul-De-Sac overlooking the lake, in a manned and gated subdivision just a short drive from I-45, Grand Parkway and Hardy Toll Road. Impeccable landscaping and amazing attention to detail greet your guests. 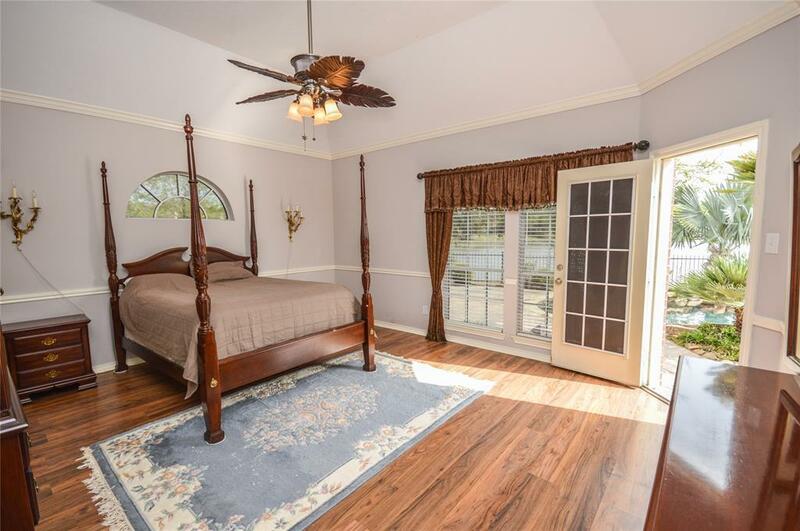 French doors to private library! There are Two masters! One down and one up plus two additional large secondary bedrooms upstairs. Kitchen has granite counter tops, stainless steel appliances, gas cooking and plenty of cabinets for the chef in your life. Closets in both masters have organizer systems. 2 year roof. 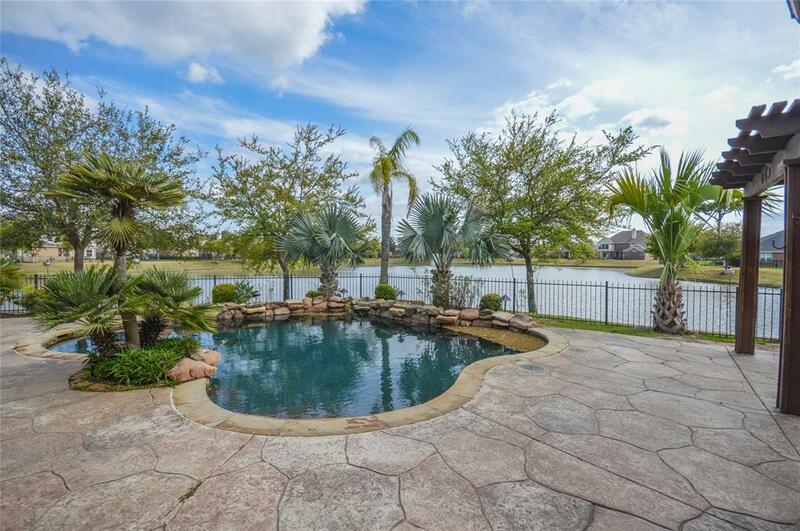 The owners have spared no expense creating a backyard Oasis like no other with panorama views of the lake! Pebble Tech Salt Water Pool with 20 yr. bottom, 2 yr. old salt system and pump, extended patio with pergola. Three car garage and double wide driveway! 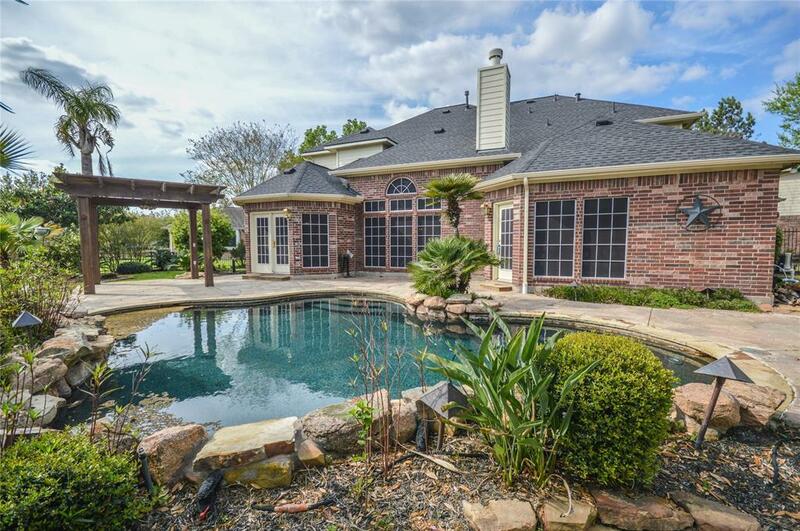 This home has way to many amenities to list here! Call today for a private tour!